Pieces is a one of a kind, experimental graphic/ comic-book project recognised by the Guinness World Records. The Pieces Project was initiated by Jakub Mazerant the founder of the IllustrateYourLife Creative Agency in 2006. During last 10 years (two editions of the project) we have collaborated with over 200 artists from 35 countries. 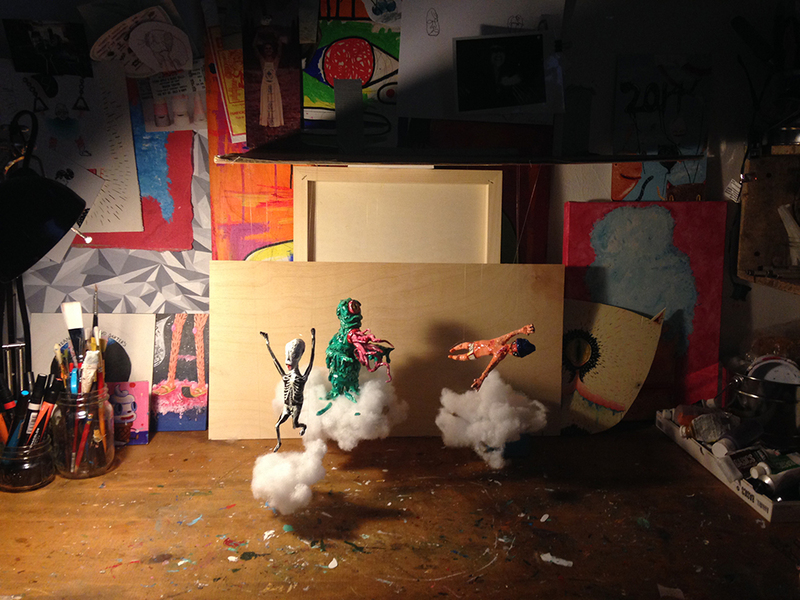 The Pieces Project started with a panel (‘piece’) depicting a group of characters in specific surroundings. The initial situation in which the characters were introduced served only as an excuse to further the story. Every next ‘piece’ of the tale is sent to another artist involved in the project. Taking into account the previous panel, the artist draws the next part providing his/ her own style to the overall story. Every artist has the opportunity of leaving their own impact on the whole body of the work; by adding new characters, slowing down or speeding up the action, etc. As the story progresses the protagonists and other characters can evolve, and the story itself may change - from being full of humour to a somber, melancholic tale, to becoming a horror full of disturbing imagery. The outcome is only limited by the participants’ imagination. The artist that will receive the last part will have a chance to create the conclusion and finish the story. The result of the collaboration of many artistic minds and personalities is a diverse and unpredictable graphic story - a story that we could control only at its inception, at its first piece; a story that lives its own life. Some of the panels are highly original in their form and style. Techniques such as photography, 3D rendering, stitching, sculpting, painting, and building with LEGO blocks were incorporated. The Project has been acknowledged and praised by some of the most iconic artists in comic art such as Andreas, KAS, Grzegorz Rosiński, Bogusław Polch, H.R. Giger, and Robert Crumb. Pieces Project was presented in Australia (Supanova Pop Culture Expo in Sydney) and Europe (International Festival of Comics and Games and City of Stars Festival in Poland). Our Project starred in numerous shows on TV and radio.